Software: MS Office, MS Excel, Visual FoxPro, MS PowerPoint, Internet. Self-confidence and Self-respect, Fast Learning and ability to work consistently. Participated in the National Level 95th Annual Conference of The Numismatic Society of India, organized by Visva-Bharati University. And presented a research paper entitled “Newly Discovered Coins Adding Two New Rulers of the Khadga Dynasty “.  Attended the UGC sponsored State Level Seminar on 150th Birth Anniversary of Swami Vivekananda, organized by Prafulla Chandra College and Institute of Historical Studies.  Certificate Course on “Cultural Heritage And Museum Studies” (Duration:- 06 months ) from Indian Museum, Kolkata.  Six months course on Temple Architecture. Reviewer and Member of Editorial Board of World Journal of Social Science, Toronto, Canada. 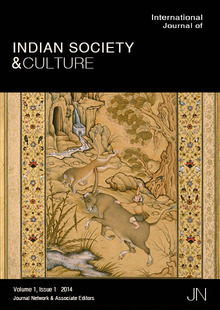 The International Journal of Indian Society & Culture is a peer-reviewed, open access journal that publishes original research papers, review articles, and essays that examine the cultures of India, from small localized populations, to cultural trends across modern Indian states, to characteristics that define the region. The scope of the IJISC includes historical articles, comparative works, and analysis of the customs, lifestyle, food, outlook, hopes and challenges that uniquely compose the society and culture. 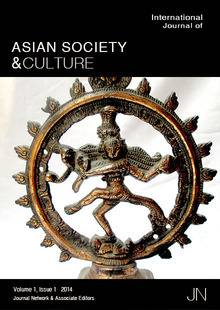 The International Journal of Asian Society & Culture is a peer-reviewed, open access journal that publishes original research papers, review articles, and essays that examine the cultures of Asia, from small localized populations, to cultural trends across modern Asian states, to characteristics that define the region. The scope of the IJASC includes historical articles, comparative works, and analysis of the customs, lifestyle, food, outlook, hopes and challenges that uniquely compose the society and culture.